Married couples hold hands during the Lord’s Prayer at the Golden Jubilee Mass celebrated by Cardinal Dolan at St. Patrick’s Cathedral June 3. Family and friends filled the cathedral as 288 married couples celebrating their 50th wedding anniversary this year renewed their marriage vows. Cardinal Dolan, center, delivers the final blessing to conclude Mass with Father Steven Clark, left, and Msgr. Robert Ritchie, rector of St. Patrick’s Cathedral. Seven anniversary couples from Father Clark’s parish renewed their vows at the Mass. Ed and Emma Migdal began their love story more than 50 years ago as college students at SUNY Cortland teaching religious education classes in the upstate community. The parishioners of Sacred Heart in Newburgh were among 288 golden jubilee married couples who renewed their marriage vows at a June 3 Mass celebrated by Cardinal Dolan in a packed St. Patrick’s Cathedral. In all, 345 married couples registered as celebrating their 50th wedding anniversary this year. All of the couples received a commemorative certificate. Cardinal Dolan welcomed the couples and their families at the start of Mass and in opening his homily. 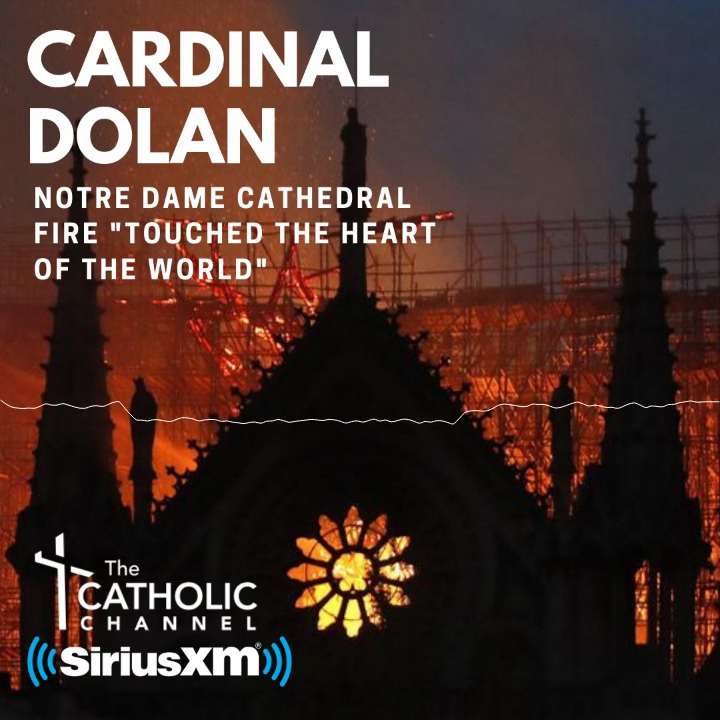 In his homily, Cardinal Dolan spoke of the promise each husband and wife made to one another as well as the one they made to God, who promises to be with the married couples each day. “In a world of broken promises, in a world that seems so afraid to make a deeper commitment, here you are 50 years of faithful love,” the cardinal said. “You don’t think that means something to your kids. You don’t think that’s a powerful example to your grandkids. You don’t think that’s a helpful illustration to me and for the Church. We need this example of fidelity. Michael and Joan Gibbons, parishioners of St. Columba’s in Hopewell Junction, were raised in neighboring Bronx neighborhoods, but they met through mutual friends on a trip to the New Jersey shore. The Gibbons’ three children purchased a cruise to Bermuda for their parents, who traveled to Bermuda on their honeymoon. The Mass was a reunion for the Minardos and Anemones, two couples celebrating 50 years of marriage. Carol Minardo was introduced to her husband Anthony by Lucille Anemone when they were attending Brooklyn College. “He was very kind, considerate and caring. He wasn’t rich, so it had to be something else,” said Carol. She and her husband are parishioners of St. Charles on Staten Island. The Minardos have three children and six grandchildren. Lou Anemone, a parishioner with his wife of St. Anthony’s in Nanuet, is a retired officer with the New York City Police Department. He said the jubilee Mass at St. Patrick’s was a homecoming. “We had a Mass here every year for the Holy Name Society (of the NYPD). It’s a place we’ve come to know and two of our daughters were married here. We have so much history here with family and my job,” he said. The Anemones have three children and 11 grandchildren. Lucille Anemone said being in St. Patrick’s with family and friends for a Mass with Cardinal Dolan made the day even more special.